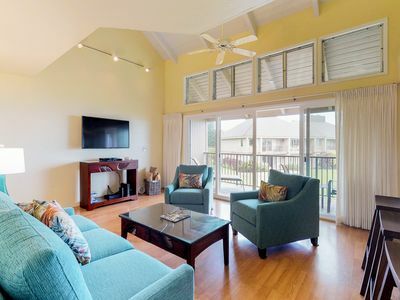 One of Princeville’s newest and most spacious 3 bedroom, 3 bath condominiums. 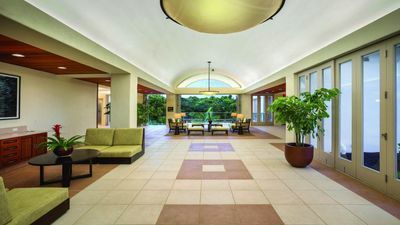 This vaulted ceiling, top story unit is ideally situated, and perfectly oriented to take full advantage of the gentle Hawaiian trade winds and the sights and sounds of the complex’s signature, two-story water feature. 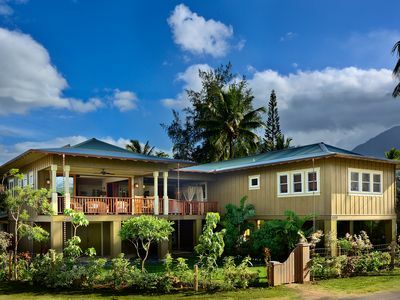 Together these create the feel of a true Hawaiian plantation-style experience. 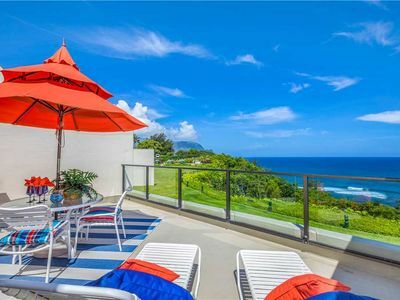 The covered, over sized corner lanai (among the largest of any vacation condo in Princeville) makes every evening an outdoor dining night. 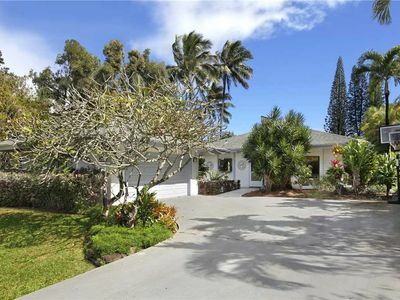 Over-sized master bath, with walk-in shower. 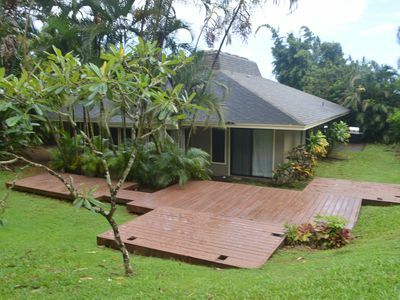 One of few units in Plantation to have this feature). 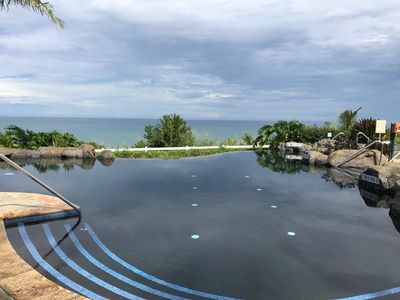 New, higher capacity Air Conditioning recently installed. 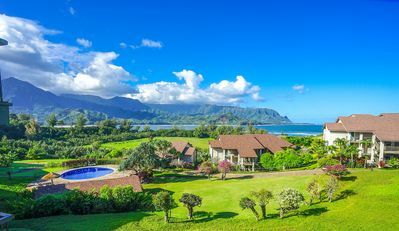 The central Princeville location is literally a “walk across the road” to the recently renovated, Robert Trent Jones Jr., St.Regis Makai Golf Club. 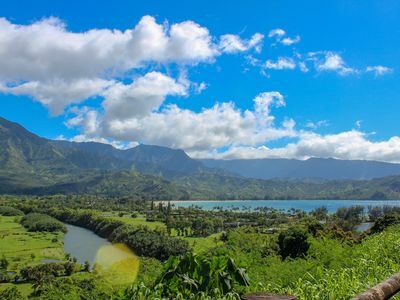 Further down the pathway is the Hanalei Bay overlook, generally considered to be the best vantage point for viewing the world renowned “Bali Hai” sunsets. 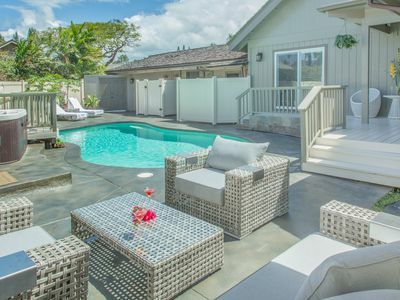 Shopping, restaurants and the 5-Star St. Regis Hotel and Spa are all within easy “slippah” distance. 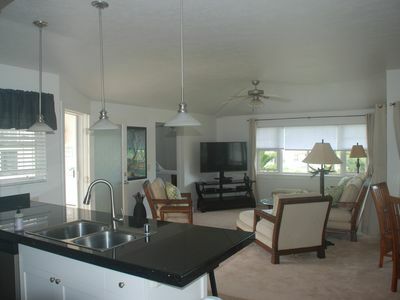 Unit is located in the more private "inside" section of complex, away from the noise of the main thoroughfare. 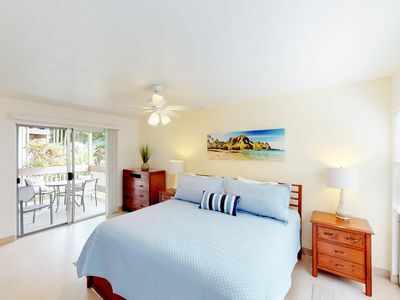 Additional features which make this vacation condominium unique are a/c (not often needed but nice to have), a fully equipped fitness center reserved exclusively for owners and guests, a very private spa and pool area with barbecue grills, and a business center with a private office, phone, fax and wi-fi. 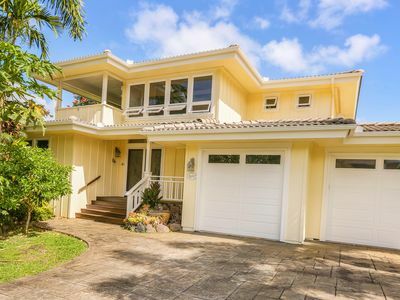 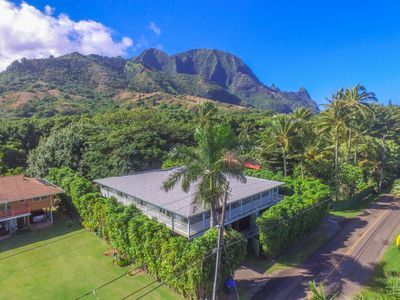 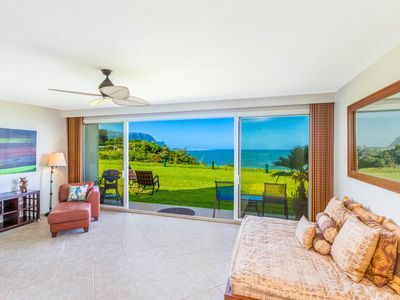 'Sealodge' Princeville Oceanfront Condo w/ Pool! 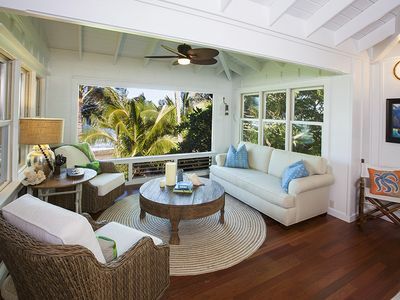 Beautifully Decorated Condo with Ocean Views Bound to Take Your Breath Away! 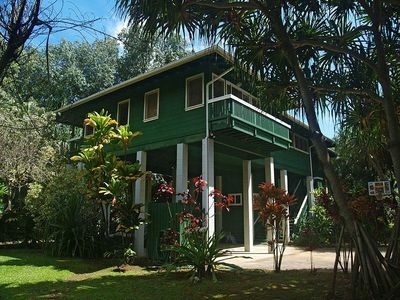 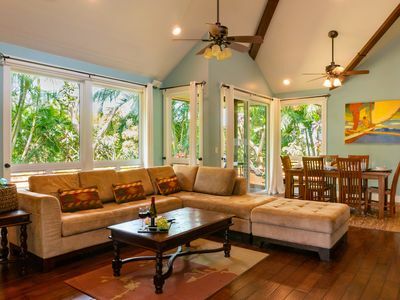 NEWLY Updated Condo- Close to Hanalei and private beach! 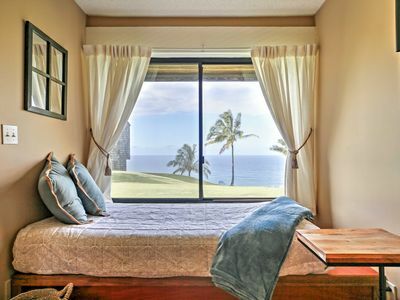 FAST WiFi & Beach Gear!